He was the son of John Day Howard. 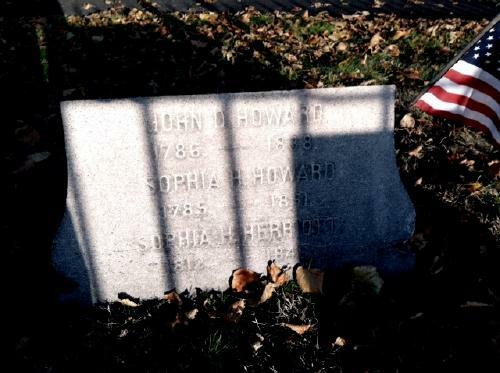 John Day Howard was a Revolutionary War prisoner and a seaman. The census of May 1, 1791 shows: John Howard, Also in the household was one male under 16 [John Day Howard Jr.], and one other female; and Lucy Clark listed with John Day Howard Jr.
Bounds and Valuations for 1798 show John D. Howard; owner and occupier; wooden dwelling; fronting south of Mrs. Jarvis; north on Thomas Godfrey; east on John Shelton; west on North Street. He was buried in Mt. Auburn Cemetery, Cambridge, Massachusetts. Thomas W. Baldwin, Vital Records of Cambridge, Massachusetts, to the year 1850, Boston: Wright & Potter Print. Co., (1914) , Vol. 1, p. 376, citing gravestone record. "Massachusetts Births and Christenings, 1639-1915," database, FamilySearch (https://familysearch.org/ark:/61903/1:1:VQXF-NL8 : accessed 4 October 2015), John Day Howard, 01 Apr 1759; citing CAMBRIDGE,MIDDLESEX,MASSACHUSETTS, ; FHL microfilm 496,864. A volume of records relating to the early history of Boston, Boston: Municipal Print. Office, (1900-1909) , Vol. 30. Boston marriages, 1700-1800. Part II, p 455. 1790 United States. Census Office. 1st census, Census schedules, 1790, Washington [District of Columbia]: The National Archives, (1969) , 1790 > MASSACHUSETTS > SUFFOLK > BOSTON, Series: M637 Roll: 4 Page: 41. A volume of records relating to the early history of Boston, Boston: Municipal Print. Office, (1900-1909) , Vol. 3, p. 149. Vital Records of the Town of Dorchester from 1826 to 1849, Boston: Rockwell and Churchill, City Printers, (1905) , Vol. 2, p. 244. Find A Grave Memorial# 67725171. John Day Howard was born perhaps about 1730. He was the son of John Day Howard and Lucy Clark. Samuel Howard, Copy of Record of Death Vol. 285, p. 215, #5752 (1876), The Massachusetts Archives at Columbia Point, 220 Morrissey Boulevard, Boston, Massachusetts. Hereinafter cited as Mass. Copy of Record of Death. Massachusetts Marriages, 1695-1910, at https://beta.familysearch.org/, Indexing Project (Batch) Number: M50220-1, Source Film Number: 896885. A volume of records relating to the early history of Boston, Boston: Municipal Print. Office, (1900-1909) , Vol. 39, p. 152. Find A Grave Memorial# 101218621. Town and City Clerks of Massachusetts, Massachusetts Vital and Town Records, Provo, UT: Holbrook Research Institute (Jay and Delene Holbrook), , Boston > Births, Marriages and Death > 34536.
living at 3450 Lucas Ave., Saint Louis, St. Louis County, Missouri. living at Wood Street, Concord, Massachusetts. living at Road connecting shore and County Road by Depot, Bourne, Massachusetts. Harvard College Class of 1894. Twenty-fifth anniversary report, 1894-1919, Norwood, Massachusetts: Plimpton Press, (1919) , p. 171. 1880 United States. Census Office. 10th census, 1880 federal population census, Washington, District of Columbia: National Archives and Records Service, ([19--]) , Census Place: Saint Louis, St Louis (Independent City), Missouri; Roll: 724; Family History Film: 1254724; Page: 224D; Enumeration District: 142; Image: 0397. Concord, Concord Enterprise, Concord, Mass., August 26, 1897, p. 1. 1900 United States. Census Office. 12th census, 1900 population census schedules, Washington, District of Columbia: Bureau of the Census Micro-Film Laboratory, ([197-]) , Census Place: Concord, Middlesex, Massachusetts; Roll: T623 658; Page: 5B; Enumeration District: 736. 1920 United States. Bureau of the Census. 14th census, 1920 population census schedules, Washington, District of Columbia: The National Archives, ([193-?]) , Census Place: Concord, Middlesex, Massachusetts; Roll: T625_706; Page: 10B; Enumeration District: 112; Image: 1112. 1930 United States. Bureau of the Census. 15th census, United States, 1930 federal census : population schedules ; NARA microfilm publication T626, Washington, District of Columbia: Bureau of the Census Micro-Film Laboratory, ([19--?]) , Census Place: Bourne, Barnstable, Massachusetts; Roll: 883; Page: 4B; Enumeration District: 4; Image: 170.0; FHL microfilm: 2340618. "Necrology", The Journal of the American Medical Association, Vol. 10, , at https://books.google.com/books?id=m_dGAQAAMAAJ . Chicago: The Association, (1888) , p. 378. 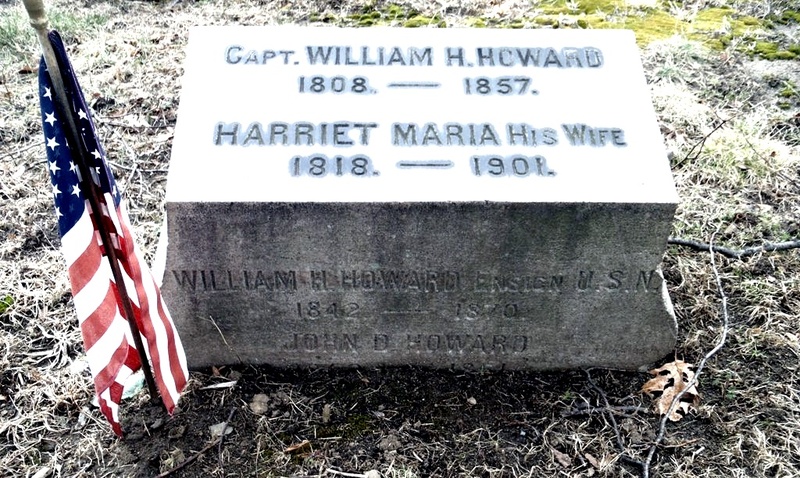 Heman Howard, The Howard genealogy: descendants of John Howard of Bridgewater, Massachusetts from 1643 to 1903, , at https://books.google.com/books?id=ELAR3FPcppMC . Brockton, Mass. : The Standard Printing Co., (1903) , p. 73. Vital Records of Bolton, Massachusetts, to the end of the year 1849, Worchester, MA: Franklin P. Rice, (1910) , p. 141. Heman Howard, The Howard genealogy: descendants of John Howard of Bridgewater, Massachusetts from 1643 to 1903, , at https://books.google.com/books?id=ELAR3FPcppMC . Brockton, Mass. : The Standard Printing Co., (1903) , p. 153. The census of 1850 shows: James M. Moore, a tailor with $3000 real estate; and Lucy Moore listed with Sophia H. Moore, Lucy A. Moore and James M. Moore Jr. The census of 1855 shows: James Madison Moore and Lucy Howard listed with Sophia H. Moore, Lucy Howard Moore and James Madison Moore Jr. The census of 1860 shows: James M. Moore, 40, a mer. tailor with $4600 real estate and $2000 personal estate; and Lucy Moore, 41; listed with Sophia H. Moore, Lucy A. Moore and James M. Moore Jr.
living at Derby Street, Waltham, Massachusetts. Town and City Clerks of Massachusetts, Massachusetts Vital and Town Records, Provo, UT: Holbrook Research Institute (Jay and Delene Holbrook), , Boston > Marriages, 1800-1849, Vol. 2 > 57. 1880 United States. Census Office. 10th census, 1880 federal population census, Washington, District of Columbia: National Archives and Records Service, ([19--]) , Census Place: Waltham, Middlesex, Massachusetts; Roll: T9_542; Family History Film: 1254542; Page: 517.1000; Enumeration District: 418; Image: 0389. Massachusetts Vital Records, 1841-1910, , Vol: 493 ; Page: 599. 1880 United States. Census Office. 10th census, 1880 federal population census, Washington, District of Columbia: National Archives and Records Service, ([19--]) , FHL Film 1254542; National Archives Film T9-0542; Page 462D. 1880 United States. Census Office. 10th census, 1880 federal population census, Washington, District of Columbia: National Archives and Records Service, ([19--]) , FHL Film 1254542; National Archives Film T9-0542; Page 517A. 1860 United States. Census Office. 8th census, Population schedules of the eighth census of the United States, 1860, Washington, District of Columbia: National Archives. Central Plains Region, (1950, 1967) , MASSACHUSETTS > SUFFOLK > CHELSEA, Series: M653 Roll: 526 Page: 686. 1860 United States. Census Office. 8th census, Population schedules of the eighth census of the United States, 1860, Washington, District of Columbia: National Archives. Central Plains Region, (1950, 1967) , Census Place: Chelsea, Suffolk, Massachusetts; Roll: M653_526; Page: 686; Image: 55. 1880 United States. Census Office. 10th census, 1880 federal population census, Washington, District of Columbia: National Archives and Records Service, ([19--]) , Census Place Waltham, Middlesex, Massachusetts Family History Library Film 1254542 NA Film Number T9-0542 Page Number 517A. "Massachusetts, Marriages, 1695-1910," index, FamilySearch (https://familysearch.org/pal:/MM9.1.1/FH8B-P6R : accessed 06 Nov 2012), Joseph Curtis and Lucy C. Howard, 31 Jan 1861; citing reference , FHL microfilm 818082.
living at Saint Louis, St. Louis County, Missouri. 1880 United States. Census Office. 10th census, 1880 federal population census, Washington, District of Columbia: National Archives and Records Service, ([19--]) , Census Place: Watertown, Middlesex, Massachusetts; Roll: T9_542; Family History Film: 1254542; Page: 33.3000; Enumeration District: 421; Image: 0509. 1880 United States. Census Office. 10th census, 1880 federal population census, Washington, District of Columbia: National Archives and Records Service, ([19--]) , Census Place: Saint Louis, St Louis (Independent City), Missouri; Roll: 734; Family History Film: 1254734; Page: 457C; Enumeration District: 374; Image: 0450. Seth C. Cary, John Cary, the Plymouth Pilgrim (n.p. : Seth C. Cary, Dorchester Center, Boston, MA, 1911, unknown publish date), p. 91. Vital Records of Brockton Massachusetts to the year 1850, , at https://archive.org/details/vitalrecordsofbr00broc . Boston, Mass. : New England Genealogical Historic Society at the charge of the Eddy Town-Record Fund, (1911) , p. 179. Rebecca Howard was born perhaps about 1705. Verne Raymond Spear, The descendants of George Spear who settled at Braintree, Massachusetts, 1642-1988, , at https://books.google.com/books?id=xVFVAAAAMAAJ . West Springfield, Mass. : Trade Press, (1988) , p. 31. Howard, Samuel, tailor. householder at 1 Lynde place. Howard, Samuel. 41 North. house at Chelsea. Howard, Samuel. cutter, 46 Milk, Boston. home 74 Beacon. The census of 1860 shows: Samuel Howard, 36, a tailor with $3600 real estate; and Anna A. Howard, 42; listed with Susan Howard, George Howard and Samuel Howard Jr.
Howard, Samuel, cutter, 80 Federal. house at Chelsea. Howard, Samuel, cutter, 66 Franklin, Boston. house, Grove Hall ave near Elm. living at Ward 1, Roxbury, Massachusetts. Howard, Samuel, cutter, 66 Franklin, Boston. house, 96 Eustis. Howard, Samuel, cutter, 43 Summer. house at 288 Dudley. The census of 1870 shows: Samuel Howard, 45, cutter of clothing, with $600 personal estate; and Anna A. Howard, 46, keeping house; listed with Susie E. Howard, Colonel George E. Howard and Samuel Howard Jr.
Howard, Samuel, cutter, 43 Summer. Howard, Samuel, cutter. house at 48 Clarence. Town and City Clerks of Massachusetts, Massachusetts Vital and Town Records, Provo, UT: Holbrook Research Institute (Jay and Delene Holbrook), , Boston > Boston Record of Deaths, 1876, Vol. 2 (May-Dec) > 73. Town and City Clerks of Massachusetts, Massachusetts Vital and Town Records, Provo, UT: Holbrook Research Institute (Jay and Delene Holbrook), , Boston > Births, Marriages and Death > 10770. Massachusetts Vital Records, 1841-1910, , Vol. 98, p. 188. 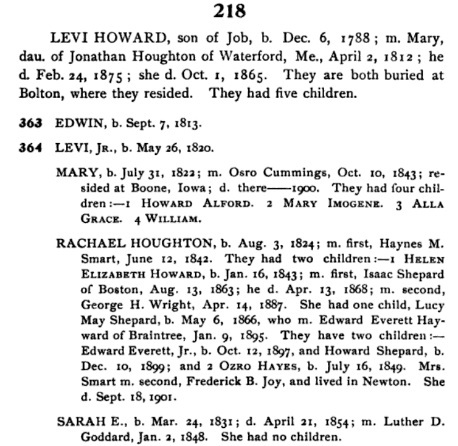 "Massachusetts, Deaths, 1841-1915," index and images, FamilySearch (https://familysearch.org/pal:/MM9.1.1/N755-NQ9 : accessed 14 March 2015), Samuel Howard, 01 Sep 1876; citing Boston, Massachusetts, v 285 p 215, State Archives, Boston; FHL microfilm 960,211. "Massachusetts, Deaths, 1841-1915," index and images, FamilySearch (https://familysearch.org/pal:/MM9.1.1/N49V-BF2 : accessed 29 Nov 2012), Susan E Woodward, 1909. Samuel Howard was the son of Samuel Howard and Anna Eliza Brimhall. 1880 United States. Census Office. 10th census, 1880 federal population census, Washington, District of Columbia: National Archives and Records Service, ([19--]) , FHL Film 1254560; National Archives Film T9-0560; Page 140D. "Massachusetts, State Vital Records, 1841-1920," index and images, FamilySearch (https://familysearch.org/pal:/MM9.1.1/23RV-QY7 : accessed 14 March 2015), Samuel Howard in entry for Samuel Howard, 08 May 1917; citing Death, Boston, Suffolk, Massachusetts, United States, certificate number 5178, page 61, State Archives, Boston. Samuel Howard was born perhaps about 1755. Samuel died about January, 1797. "Massachusetts Deaths, 1841-1915," database with images, FamilySearch (https://familysearch.org/pal:/MM9.3.1/TH-267-11854-151013-0?cc=1463156 : 20 May 2014), 2400763 (004284134) > image 1626 of 2103; State Archives, Boston. "Massachusetts, Town Clerk, Vital and Town Records, 1626-2001," database with images, FamilySearch (https://familysearch.org/ark:/61903/1:1:FHCC-8PN : 13 July 2016), John R. Clifford and Sarah E. Howard, 02 Dec 1863; citing Marriage, Chelsea, Suffolk, Massachusetts, United States, , town clerk offices, Massachusetts; FHL microfilm 482,897. "Massachusetts Births, 1841-1915", database with images, FamilySearch (https://familysearch.org/ark:/61903/1:1:FXZC-1B1 : 1 March 2016), Geo. Howard Clifford, 1865.